Lynette has been directing music at First Baptist Church since 2009. Leading worship music with a team of choirs, Lynette is most at home behind the organ console or at the piano bench, a family tradition hearkening back to her Grandmother’s legacy as organist in New Stockholm Lutheran Church in Saskatchewan. Leading weekly services with the 26-member Senior Choir, Lynette directs SATB choral literature ranging from Palestrina, Bach, Mozart, Bruckner, Fauré, Stanford, and Howells, to modern composers Ola Gjeilo, Eleanor Daley, and Rupert Lang. To encourage everyone to take part in singing, Lynette partners with congregational members in Grace Notes, Men Without Jackets, and Songsters. Guest instrumentalists from the congregation and wider community are frequent partners in service music, which highlight Lynette’s enthusiasm for collaborative music. In her dual life, she is a Collaborative Pianist at Dalhousie University’s Fountain School of Performing Arts, and Accompanist for the Halifax Camerata Singers and Symphony Nova Scotia Chorus. 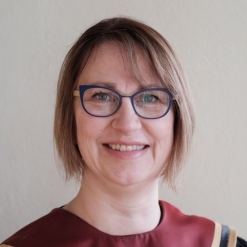 Lynette augments her professional development through summer programs with Royal Canadian College of Organists and Nova Scotia Choral Federation. Lynette’s degrees include a Bachelor of Music from Brandon University, and a Masters of Music from both Université de Montréal and McGill University. She is an active member of Opera Nova Scotia, Early Music Society of Nova Scotia, and the Halifax chapter of the Royal Canadian College of Organists, and most recently, has been invited to perform for 2019 Nova Scotia Talent Trust pop-up concerts with Triptych Ensemble. Her connection to the community provides a strong bond for FBCH to engage with the wider public, and brings a lively and ever-changing group of musicians through our doors.